Have you ever encountered a situation where you have accidentally deleted an important file stored on your computer or a flash drive? May be you can’t find your favorite images or videos after a system crash or due to malware infection which comprised your hard drive and deleted all of your important files? Well, this is a precarious scenario, and everyone wishes to avoid it. Deleted files are generally quite inaccessible and are in constant danger of getting overwritten. In order to recover these files, you require professional file recovery software. These software are particularly designed to scour your hard drives and locate any of the recoverable data, piece them together and offers you a recoverable format. Most of the best data recovery software offers you the ability to preview the recovered files along filtered as well as searchable results. They also provide you the option to easily restore your files along with various other tools. In case you are looking for such a software then look no further and try EaseUS Data Recovery Wizard 11. It comes with great recovery options and a plethora of features. This program is able to restore any of your accidentally deleted files present on any working system, and it can also work on those drives which are no longer recognized, most probably they have been formatted by accident. In case you encountered the situation of accidental deletion of a partition, this software provides you the means to restore your files. It is also quite useful in flash drive recovery in case your files in a flash drive gets deleted. This software is quite easy to use even for a beginner who has never used any data recovery software. You just have to select the drive, hit the button and the recovery process starts straight away. Unlike other applications, it doesn’t have any setting to select a deep scan, quick scan or any specialized scan. This software starts with a quick scan. In case it doesn’t find any files, it initializes a deep scan automatically. This feature is quite streamlined as well as time-saving. Although, it does try to recover every file from the drive without making you switch to a different scanning mode. In case you wish to have more control over the recovery process, you will be disappointed. However, it is a small disadvantage. While this software is scanning your drives, you are allowed to pause the process and revisit it later. This file recovery software provides easy and convenient recovery. It displays a simple file tree layout of the found data from which you can examine the files by using various viewing options. After the completion of the scan, an Export button is placed next to the Finished progress bar which allows you to save the scan results and you can continue with the recovery process as per your comfort. It has a Preview button that allows you to view files so that you can discover the file you are looking for and if it is intact. In order to restore files, just tick the squares present next to the files, folders or even entire partitions which you wish to save and simply hit the Recover button which is displayed prominently. After this, you can select the destination where you wish to save the files. It also comes with few recovery types which allows you to create a disk image which is a copy of your corrupted drive. By using this, you can work on this disk image instead of the original drive. It helps you in avoiding any accidental corruption of your important data in case you make any mistake. Even if your drive is deleted, this file recovery software allows you to see the files with their full file names. In case the list is lengthy, you can easily search the file by name. To make sure that you have got the right file, just double-click on it to check. This software provides plain text, hex as well as image file viewers. It runs on various Windows versions, from Windows 2000 and upwards. It supports FAT12, FAT16 as well as FAT32, NTFS as well as EXT2/EXT3 file systems. It can also recover data from memory cards and USB storage which makes it a great application for flash drive recovery. You can add Image Recognizer in order to filter the found pictures as per the content. It has improved recovery quality of deleted files present on NTFS partition. It also supports folder search by name after scanning. Its UI has been optimized to offer better user experience. This application has almost every tool which you require to recover data. Another unique feature of this application is its remote network access. It allows you to get connected to the computer which is present in office network and perform a scan and recover process from a remote location. This allows you to easily recover files for both you as well as your employees. In case your system has completely crashed and won’t even load the operating system, this file recovery software comes with a version which can be launched from a bootable media in order to recover the data which you can’t access otherwise. It comes with a streamlined interface which is easy to use as well as time-saving. It comes with remote network access which allows you to recover files from the computer connect to your network. It provides you the option of flash drive recovery. It’s lack of customization which can be quite frustrating for the advanced users. For every EaseUS customer, the company provides access to technical support via live chat, email as well as a phone. This file recovery application has an instant email link to technical support which is present in the top-right corner menu. Its website is full of online guides as well as a user form. 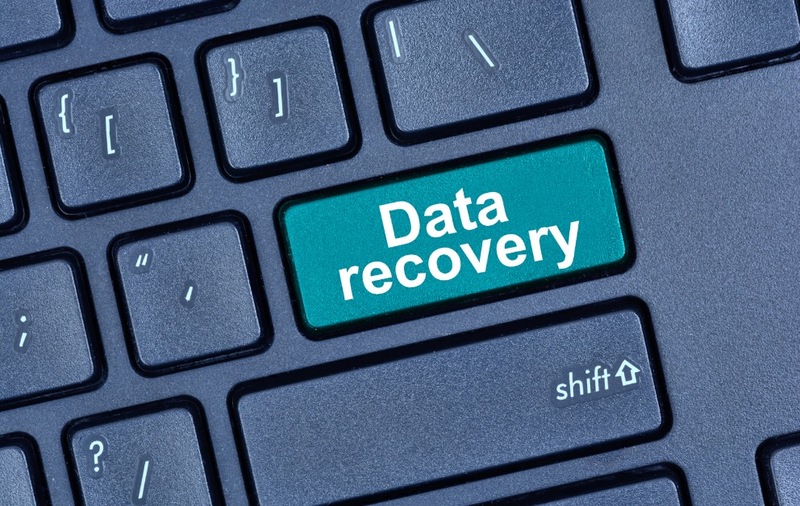 It also features a knowledge base which is constantly updated with different articles on data recovery and related news. EaseUS Data Recovery Wizard 11.8 is one of the best file recovery software present in the market due to its intuitive interface, streamlined design, easier recovery process and effective delivery of results. It can also be utilized by novice users without any hassles and any discomfort. All these features make this software our recommended software for data recovery.